Cast out this slave woman with her son; for the son of this slave woman shall not inherit along with my son Isaac. Do not be distressed because of your slave woman; whatever Sarah does to you, do as she tells you, for it is through Isaac that offspring shall be named for you. As for the son of the slave woman, I will make a nation of him also, because he is your offspring. So Abraham rose early in the morning, and took bread and a skin of water, and gave it to Hagar, putting it on her shoulder, along with the child, and sent her away. And she departed, and wandered about in the wilderness of Beersheba. Do not let me look on the death of the child. What troubles you, Hagar? Do not be afraid; for God has heard the voice of the boy where he is. Come, lift up the boy and hold him fast with your hand, for I will make a great nation of him. Then God opened her eyes and she saw a well of water. She sent, and filled the skin with water, and gave the boy a drink. God was with the boy, and he grew up; he lived in the wilderness, and became an expert with the bow. He lived in the wilderness of Paran; and his mother got him a wife from the land of Egypt. and became a byward among them. Should we continue in sin in order that grace may abound? By no means! How can we who died to sin go on living in it? Do you not know that all of us who have been baptized into his death? Therefore we have been buried with him by baptism into death, so that, just as Christ was raised from the dead by the glory of the Father, so we too might walk in newness of life. For if we have been united with him in a death like his, we will certainly be united with him in a resurrection like his. We know that our old self was crucified with him so that the body of sin might no longer be enslaved to sin. For whoever has died is freed from sin. But if we have died with Christ, we believe that we will also live with him. We know that Christ, being raised from the dead, will never die again; death no longer has dominion over him. The death he died, he died to sin, once for all; but the life he lives, he lives to God. So you must also consider yourselves dead to sin and alive to God in Christ Jesus. [Jesus said,] “A disciple is not above the teacher, nor a slave above the master; it is enough for the disciple to be like the teacher, and the slave like the master. If they have called the master of the house Beelzebul, how much more will they malign those of his household! So have no fear of them; for nothing is covered up that will not be uncovered, and nothing secret that will not become known. What I say to you in the dark, tell in the light; and what you hear whispered, proclaim from the housetops. Do not fear those who kill the body but cannot kill the soul; rather fear him who can destroy both soul and body in hell. Are not two sparrows sold for a penny? Yet not one of them will fall to the ground apart from your Father. And even the hairs of your head are all counted. So do not be afraid; you are of more value than many sparrows. Problems are real. When faced with the necessity of facing a difficult or awkward situation honestly and resolving a it, one might do so, or one might find a scapegoat instead. Often we humans scapegoat. This day’s readings concern scapegoating. Abraham and Sarah had known for years that he would have many descendants. First, however, he needed one. So they decided to act, and Sarah granted her permission for Abraham to sire his heir via Hagar, her Egyptian slave. Ishmael was the result. His existence became awkward after the birth of Isaac. Whatever else the Bible is, it is honest about the faults of figures the reader is supposed to admire. Abraham, for example, comes across as a really bad father. In Genesis 21 he consents to the expulsion of Hagar and Ishmael. And he tries to kill Isaac in the next chapter. That story disturbs me deeply, but I get ahead of myself; that tale will wait until Proper 8, Year A. Note, anyway, the sympathetic tone in the text with regard for the plight of Hagar and her son. These two were not responsible for what was happening, yet they bore the brunt of the circumstances of Sarah’s jealousy. This jealousy created a new problem in time, for ethnic tensions arose from it. Jewish tradition links Ishmael to the origin of Arab bedouin tribes, and the Koran states that Muhammad is descended from Abraham’s firstborn son. People still use the tale of Ishmael and Isaac to justify hatred. The prophet Jeremiah spent years speaking unpopular truths and behaving bizarrely. He ate a scroll, walked around naked, and said that the Kingdom of Judah was doomed. The latter point was fairly obvious by his time, for the Chaldean (a.k.a. Babylonian) Empire menaced the kingdom. Furthermore, the two Kings of Judah were puppets of foreigners–one of Egypt and the other of Babylonia. Jeremiah faced scorn and persecution for his efforts. This day’s reading from the book bearing his name (The actual author of the book was the scribe Baruch.) contains one of the prophet’s understandable complaints to God. 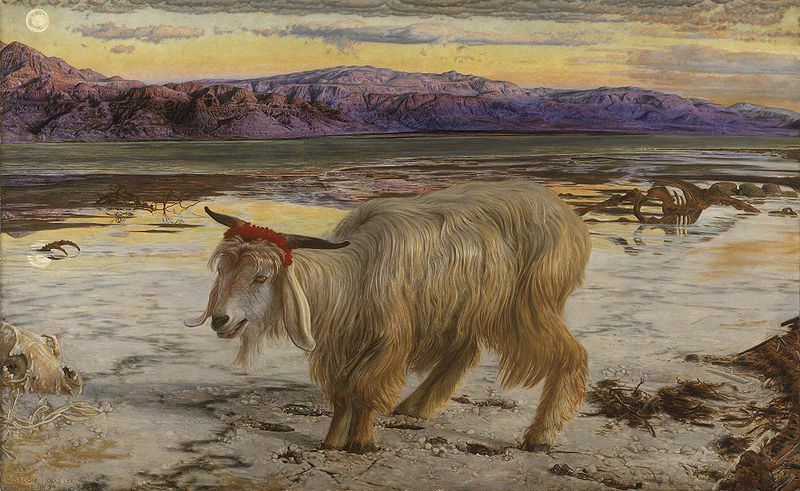 Jeremiah had become a scapegoat. What he said would happen did occur, of course, so scapegoating him did not resolve the national crisis. Jesus was a scapegoat, too. As some religious authorities said, they preferred to sacrifice him to the Roman Empire than for the imperium to kill many people. Both happened, of course, just about a generation apart. As the reading from Matthew acknowledges, the mere existence of Jesus was divisive. And it still is, especially in families where someone has converted to Christianity and religious law and/or cultural custom requires the convert’s death on the charge of apostasy. But, as Paul wrote far better than I can, the death of Jesus bestows spiritual life in God. So, as Jesus said, one should not fear those who can kill only the body. No, spiritual death is what one ought to fear and avoid. God cares for us. God cared for Hagar and Ishmael, for Jeremiah, and for Jesus and Paul. All of them suffered, but God was with them through it all and provided for them. And God cares for us, too. Will we reciprocate and trust God to provide for us, or will we seek convenient, easy solutions, which will only complicate the issue? Will we listen to God and to God’s prophets, or will we engage in scapegoating? The death and resurrection of Jesus were profound events packed with meanings. Among them is this: Scapegoating is destructive and ineffective. Why do we continue to scapegoat? I think the answer is that we like the seemingly easy way out. May God have mercy on us.